Bishop Pablo Virgilio David of Kalookan defended his late mother after President Rodrigo Duterte called him “son of a whore”. The bishop took offense at Duterte’s recent attacks against him at a political rally in Malabaon City last Tuesday. He said his family does not expect recognition of her mother’s contribution in nation-building “but we do not expect anyone either to insult her memory and call her a whore”. 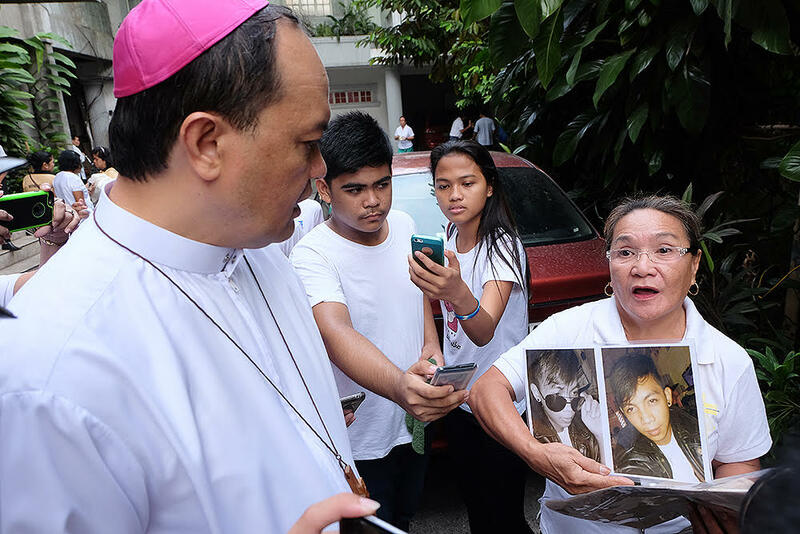 “She does not deserve it,” said Bishop David, a vocal critic of killings associated with Duterte’s anti-drug campaign. The president bad-mouthed David for supposedly using the church pulpit to attack him. But the prelate claimed that’s something he has never and will not do. “The pulpit is never for that purpose,” said David, who is also the Vice President of Catholic Bishops’ Conference of the Philippines. 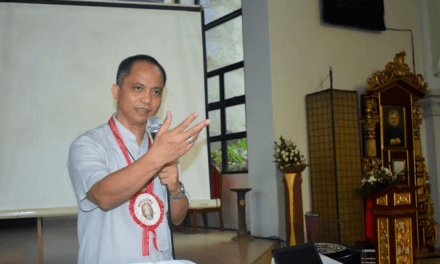 “Unless, of course, he thinks that calling for an end to violence and extrajudicial killing in my diocese is tantamount to attacking him,” he added. 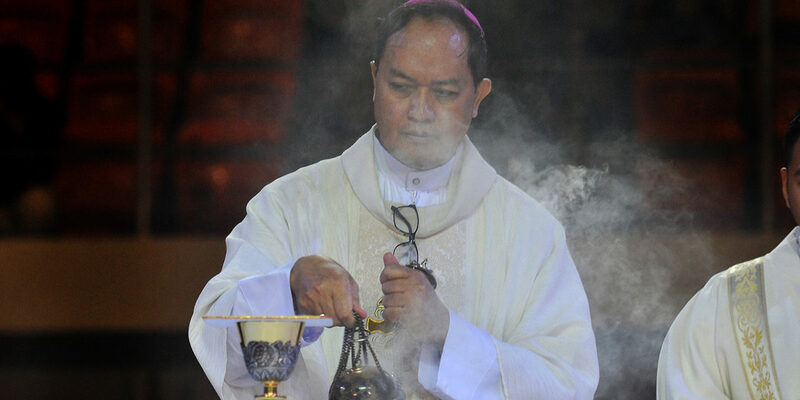 David had said that the government’s drug war has turned his diocese, which covers the cities of Caloocan, Malabon, and Navotas, into a “killing field”. The bishop then related how his mother, Bienvenida, was a consistent top honor from grade school to college, although she failed to finish her degree because of the Japanese occupation. After entering marriage at the age of 23, David said his mother did all she could to make both ends meet given the meager salary of his father as a public servant. David also recalled how her mother had to tutor all 13 of her children while doing endless house chores leading to all of them finishing college. The bishop’s mother, who passed away in 2000, was the “Gintong Ina” awardee in the late 80s. 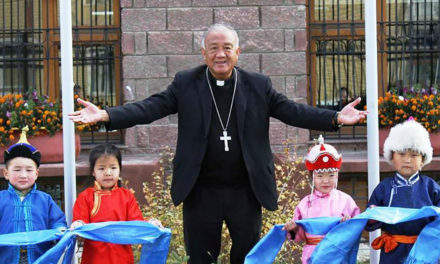 A Catholic bishop, who has been critical of the government’s bloody drug war, confirmed receiving death threats from unknown people. Bishop Pablo Virgilio David of Kalookan said the threats first came about two weeks ago. 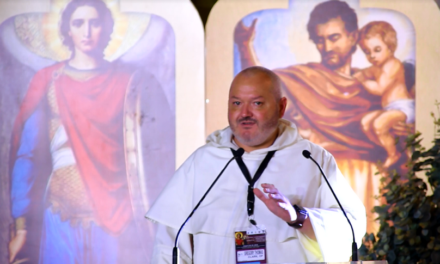 “But I don’t know who they are coming from,” said David, who is also the Vice President of the Catholic Bishops’ Conference of the Philippines. 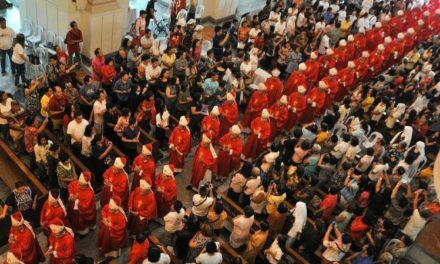 In a turnaround from previous remarks, President Rodrigo Duterte on Sunday warned people against harming bishops and clergymen. At a campaign rally in Cebu City, he quoted part of Cardinal Luis Antonio Tagle’s message to him that David and some priests received death threats from “someone claiming to be working for the president’s family”. “Do not touch priests, they had nothing to do with politics,” Duterte said. “Either Muslims or Christians, they had nothing to do with us. Do not do it. Do not try to do it. The religious [leaders] has nothing to do with the vagaries of life. Lay off! Stop threatening them or you will have to face me,” he added. Duterte has repeatedly slammed the Church in response to its criticism against his drug war and David has become the main target of the president’s tirade. Recently, the president intensified his attacks on the Church, even urging people to kill bishops. Asked if the death threats are tied to his campaign against drug killings, David said, “your guess is as good as mine”. Still, the bishop said nothing would stop him from being critical of the drug war which has already claimed thousands of lives. Human rights advocates alleged that the death toll in Duterte’s drug war has surpassed 20,000 since he assumed office in 2016. “No threat or intimidation can stop me from carrying on with my spiritual and pastoral duties as a bishop,” David said.